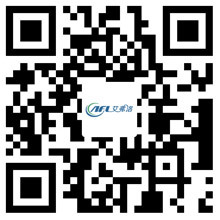 Features of Different Types of the Blower - Hangzhou Airflow Electric Appliances Co.,Ltd. Blowers have different types, such as backpacks, hand held, wired and cordless, wheeled, electric and aerodynamic. Each type and subtype has different functions and uses. For example, while some of these may be dedicated to home maintenance, other more powerful units are for business users. The blower can be single and secondary. The former is a light machine that uses a single high-speed impeller (the rotor in the tube) to draw snow and discharge from the chute. On the other hand, the two-stage snow blower is heavy duty, and has a number of low-speed metal auger, the snow into the impeller, and then the snow discharged into the chute. The electric blower needs to be powered by an extension cord from the power outlet. On the other hand, cordless blowers use rechargeable batteries, which are suitable for smaller areas due to their limited working hours. Mixed oil and petrol running pneumatic impeller blower. Two-stroke petrol engines usually provide power for backpackers, while wheeled engines typically have four-stroke petrol engines. It can be hand-held, backpack or wheeled. Hand-held blowers are ideal for simple home maintenance works. Backpack blowers are fast, with quick throttle response and fuel efficiency, and are generally loved by professionals. Wheel or rear blower is the best choice for maintaining a larger area, mainly natural gas. Industrial blowers are manufactured using a range of durable plastic and metal or a combination of two materials. Features include drying, reducing heat, reducing smoke and odor, processing and controlling gas fumes in industrial environments. In recent years, with the rapid development of power electronic technology, computer technology and automatic control technology, the blower is facing a history revolution, and its motor is replaced by DC speed control and computer numerical control technology instead of analog control technology. trend. Motor AC variable frequency speed control technology is today's energy-saving, improve the process to improve product quality and improve the environment, to promote technological progress as a major means.